This is a great way to be sure you use up a big batch of chili, and it\'s a perfect weeknight meal! Preheat oven to 400 F. Place baking potatoes on baking sheet and slit with knife. Bake in the preheated oven for 1 hour to 1 hour 15 minutes. Baking time will depend on thickness of the potatoes. Open and drain the diced tomatoes. In a large skillet, brown the ground beef with the minced onion and garlic powder. Drain and return to the stove. Stir in the black beans, diced tomatoes, chili powder, ground cumin and salt and pepper. Add in 2 cups of beef stock and simmer over low heat while the potatoes are baking. When the potatoes are finished baking, spoon the chili into each potato and top with a few pinchfuls of shredded cheddar cheese. 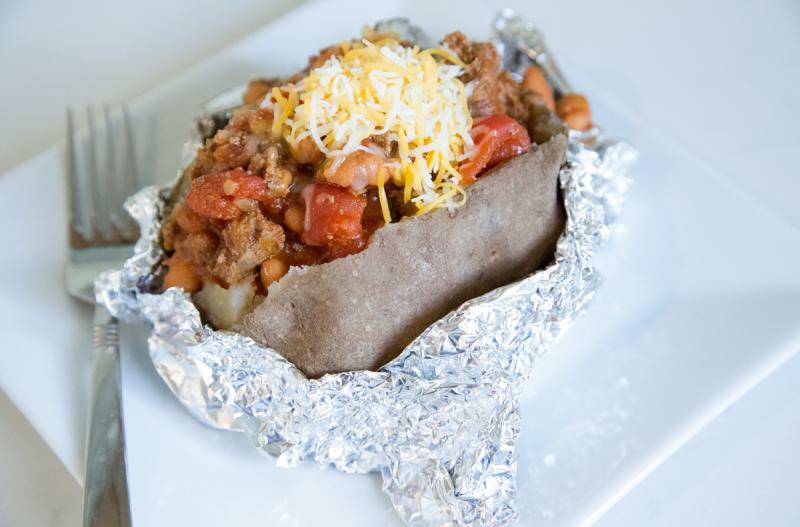 Serve Chili Stuffed Baked Potatoes with veggies. Open, drain and rinse 2 cans of black beans. Open and drain 2 cans of diced tomatoes. 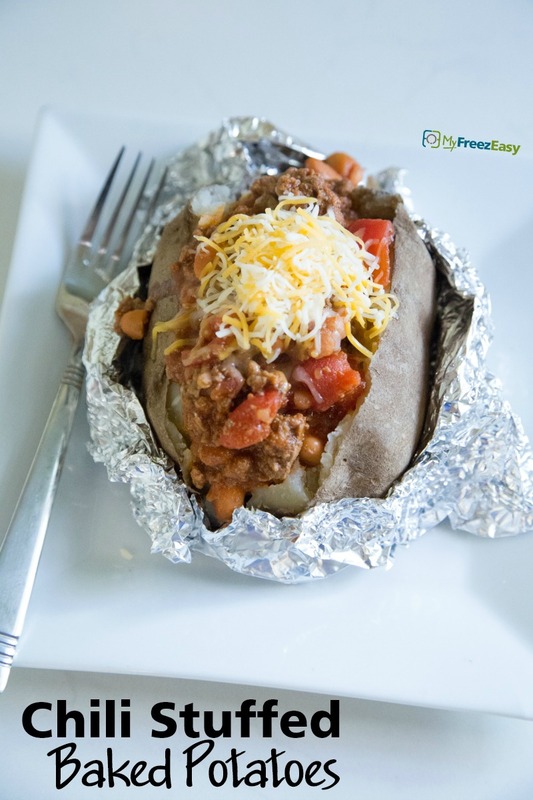 Put baggie in the freezer and freeze up to 6 months in fridge freezer or 12 months in a deep freezer. Thaw in the fridge overnight, or a warm bowl of water for about 20 minutes, before transferring to a skillet and reheating. Bake potatoes as directed and add chili filling just before serving. Omit the shredded cheese topping for dairy-free meal. Thaw and reheat the filling in skillet. Bake the potatoes, then top with the chili filling and top with shredded cheddar cheese.